Would you sit still and concentrate on your breathing? And at the end of that time what would you have to show for your deliberate thinking? Could we take that thinking, put a price on it and share it with others? It’s all a bit hit or miss, isn’t it? If we asked you to reflect on your schooling; when were you taught to think? We really weren’t. So here it is. The pink sheet process is a way of thinking deeply and deliberately about something. We are sure it’s not the only way to think and maybe not the best way — although we suspect that perhaps it is. Without doubt, it’s a very effective way to think; to capture and flesh out your ideas. 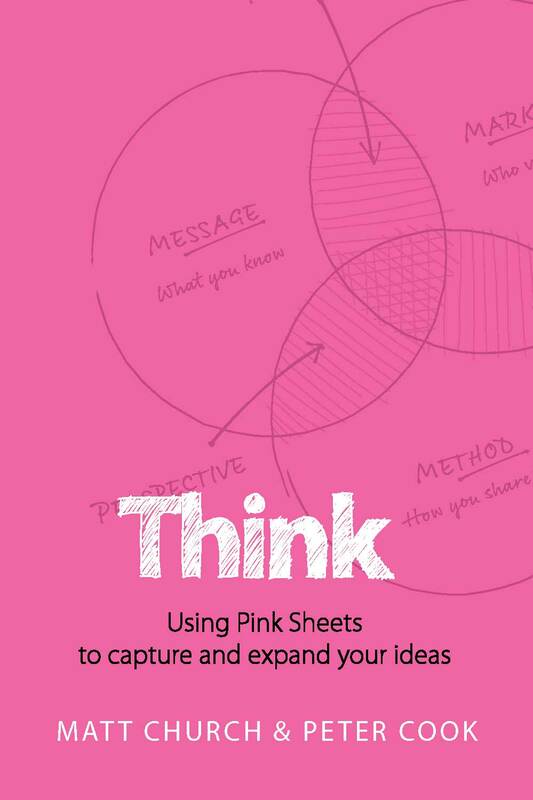 This Talking Point is an excerpt from my most recent book, Think – Using Pink Sheets to capture and expand your ideas, written with my business partner at Thought Leaders, Peter Cook. Download a free copy (or buy a physical one), and learn more about Pink Sheets at pinksheetprocess.com. The pink sheet process is a way of thinking deeply and deliberately about something. For many of us, when we think we find ourselves reflecting on a past event or planning for a future one. The question is: “Are you consciously thinking?”, or is the monkey mind running things? The monkey mind being that noisy, reactive, paranoid, jibber jabber that passes for a stream of consciousness. Often, when teaching the idea of pink sheets, we are struck by how hard it is to get your head around what is, in essence, a straightforward idea. How to sit down and think deliberately about something. It’s through the practice and application of this thinking process that you get better at thinking. We realised that teaching this is a bit like teaching meditation or mindfulness. It’s through the practice of meditation that you get better at it. Similarly, it’s through the practice and application of this thinking process that you get better at thinking. We both love the non-thinking state of meditation. 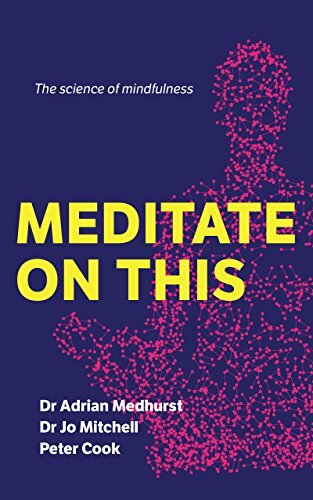 Pete has written a book on it, emphasising the scientific benefits of regular meditation. We both choose to live — that is to be — in the present ‘now’ moment as much as possible. As business partners who live in different cities, we are often connecting on the phone. Matt likes to start most calls with the question: “What’s not on your mind?” — a code for remembering that thinking is not the goal state of Pete’s meditation practice. You might think it ironic then that a meditation teacher would be the CEO of a business named Thought Leaders. You wouldn’t be alone. One of Matt’s virtual mentors is Thich Nhat Hahn, the Vietnamese Zen Monk who teaches mindfulness in the south of France. As an aside, if you could choose anywhere to practice being fully present the idyllic south of France would have to be in your top three. Genius. It is through mindfulness training that you learn how to fill your mind with the present moment. It is about eating, walking, breathing, sitting, listening and being fully present to what’s in front of you. The book is small, the idea is simple. Practice is the key. 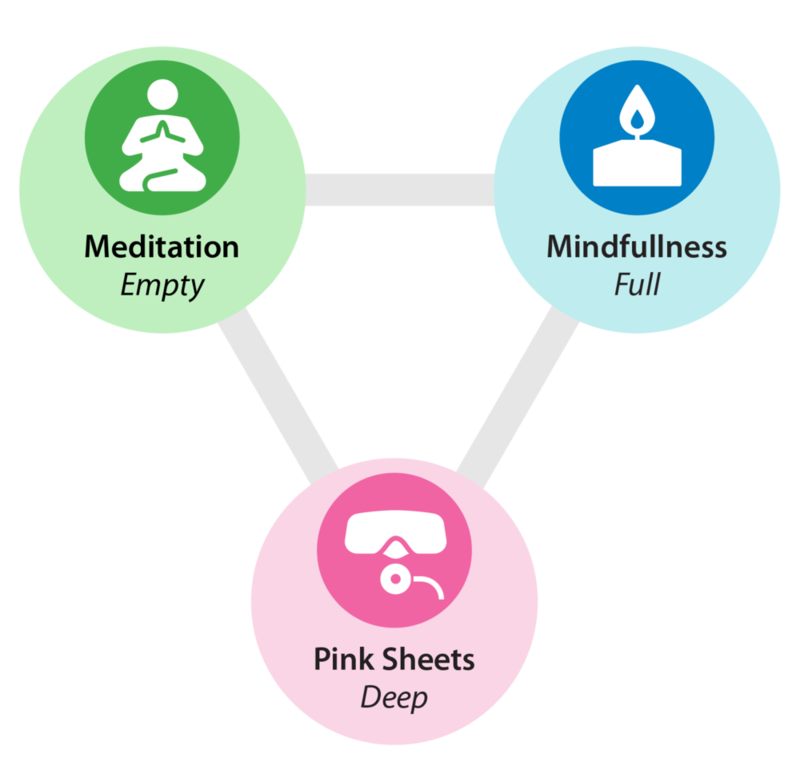 It may be useful to consider meditation and mindfulness on a spectrum. On one side, meditation is about emptying your mind, releasing thoughts and focusing on very little. On the other side, mindfulness is about filling your mind and the act of deep sensory immersion. It’s probably truer, though, that meditation and mindfulness become the same thing over time: a state of being present. If we then took this idea further, the process of pink sheeting is the third element of a triangle. It becomes about opening your mind, contemplating an idea and focusing on solving a problem — something Buddhism calls deep insight. This is a simple idea that is often hard to grasp. It’s not that it’s complex — it’s just not our typical state. As in meditation and mindfulness training, however, it is something you can get better at through regular practice. So, the book is small, the idea is simple. Practice is the key. As soon as you can wrap your head around it, have a go at a pink sheet. Get started at the Pink Sheet Process website!